Classic style large shoulder tote bag with gold metal detailing. Large enough to fit A4 notepads, A4 folders and most sized laptops. Comes with a long detachable matching strap. Contains two main compartments, two inner open pockets and two inner zipped pockets. 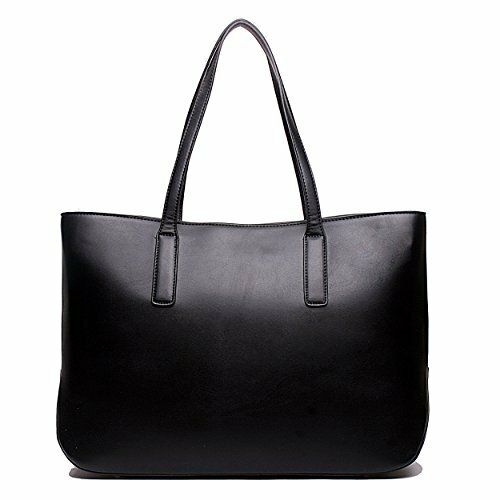 Approximate size H: 28cm L: 35cm D: 15cm Classic style large shoulder tote bag with gold metal detailing. Large enough to fit A4 notepads, A4 folders and most sized laptops. Comes with a long detachable matching strap. Contains two main compartments, two inner open pockets and two inner zipped pockets. Made from high quality faux leather.